We provide the best garden landscaping in Poole for properties of all sizes. Our company is based in Dorset, and we are ready to help you create the stunning outside space you have always longed for. A landscaped garden will be a pleasant space to relax in for any property. Our dedicated team offers both soft and hard landscaping services. Soft landscaping adds unique details to your garden with the use of plants, vegetation, and trees. This includes planting, raised beds and lawns and full garden transformations. Hard landscaping makes use of materials such a wood or stone to construct new features in your garden. They can include fencing and decking, driveways and patios which are tailor-made to suit your individual preferences. Patios create the perfect outdoor space to entertain your friends or enjoy your garden in a defined space and our garden landscaping Poole team supplies and installs beautiful bespoke designs. You will be able to choose from a wide selection of patio stones and colour choices to create a space that enhances both your garden and property. As a result, our customers can be assured that we will deliver a quality and maintenance free Poole garden landscaping service. Decking is hugely popular and for good reason, creating a defined area for relaxing or entertaining your family and friends. We can dramatically transform your outdoor space with the use of high-quality decking materials in a wide range of wood types and finishes. Similarly fencing does so much more than just define the boundaries of your property by also providing privacy, shade and security. Our garden landscaping Poole team takes fencing seriously and offers a wide selection for you to choose from, all professionally installed and built to last. Even small changes can make a huge difference to your garden and ultimately your home. Our trustworthy, innovative and professional garden landscaping Poole team can create the outdoor space you have always longed for. We have an experienced team who have completed many garden landscaping Poole projects over the years. Regardless of your property size or demands, we have the skills and experience required to bring every gardening project to life. View our gallery for examples of our Poole garden landscaping. 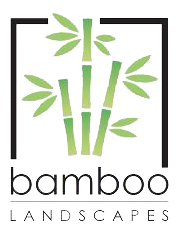 Do not hesitate to contact Bamboo Landscapes today for the best garden landscaping in Poole.